Visitors to the Smoky Mountains region have different transportation options available to them as they explore the area. Some of these options are even free during certain times of the year! We’ve broken out our list into trolleys, taxis, and tramways, so you can quickly find what works best for you. There are two primary trolley services that you’ll find when visiting: the Fun Time Trolley and the Gatlinburg Trolley. The Fun Time Trolley serves the Greater Pigeon Forge area. You can find more information about the schedules and routes from the city website. If you’re looking for a deal, get the $2.50 All Day Pass, available for purchase at the Fun Time Trolley office. There are more than 100 stops throughout Pigeon Forge and even some of Sevierville! Best of all, if you have small children (age three or younger), they ride free of charge. Another option for those who are traveling primarily in Gatlinburg is the handicap-accessible Gatlinburg Trolley. The pink route (all Gatlinburg Trolleys are color-coded) goes all the way up to Dollywood, with other routes covering the rest of the Parkway and the Arts & Crafts Community. Every route except for tan and pink offer unlimited rides for $2.00 a day (you can purchase a day pass at city welcome centers, City Hall, and the Mass Transit Center). If you are in the area between June 16, 2018, and August 15, 2018, you can take advantage of the free shuttle route offered by the Gatlinburg Trolley. The free trolleys will be specially painted and will be open-air and run from 10 a.m. until 10 p.m. until the promotion ends. Check out the website for Routes, Fares, and access to the GPS Trolley Locator. Most people don’t consider taxi services in the area with the trolley choices. There are some local service providers outside of Uber or Lyft. Smoky Mountain Taxi serves Sevierville and surrounding areas, including Pigeon Forge and Gatlinburg. They’ve been in business for over fifteen years. Another option is J&R Transportation based in Sevierville, TN. They operate in Pigeon Forge and surrounding cities. They also will drive from the closest international airport into Pigeon Forge (that’s 209 miles away). Gatlinburg offers three different tramways, although right now only two lead to a destination. While these may not be considered traditional transportation options, some of them are the only option for the experience. Ober Gatlinburg and Anakeesta offer tramways to provide access to their attractions and shopping establishments. Ober Gatlinburg has a parking lot and is accessible by car, but the tramway gives you more information about the area as you journey up and down the lines. 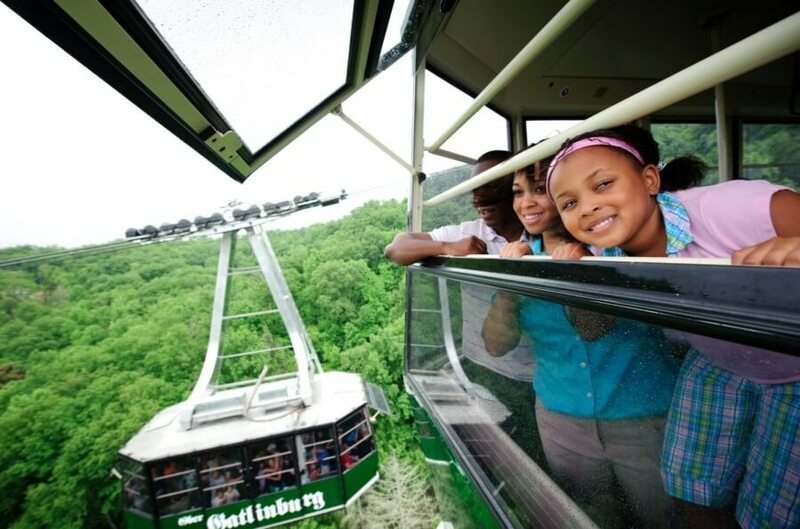 The Gatlinburg Sky Lift offers a round-trip journey, where you will see the Smokies from a new angle. We hope we’ve inspired you to think about different ways to get around the area that you might not have considered, or maybe you had but wanted more information that we’ve provided. Keep checking our blog for more tips and tricks on how to better plan your next adventure and visit to the Smokies!